This 16 story high rise is one of the first vertical multi-use buildings to be built in Edmonton. The building is comprised of 13,000 sq ft retail space, 116,000 office space, 6000 fitness center, 4000 sq ft. conference center, is retail. The top 6 levels are high-end residential condominiums. 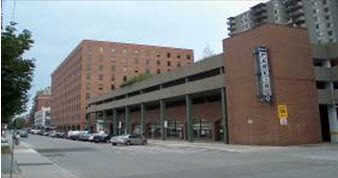 The building is also served by 3 levels of underground parking. Mansour and Associates is proud to serve as the Civil and Mechanical consultant for this project. 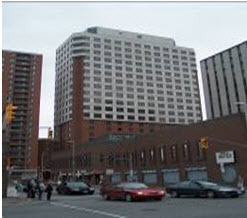 30 Metcalfe is located in downtown Ottawa. 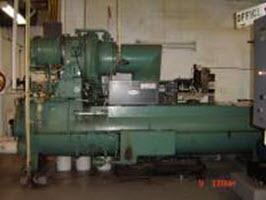 The existing 150 ton chiller located in the mechanical penthouse was nearing its useful life time. 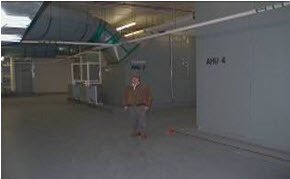 MEL was commissioned by Minto Properties to replace the chiller with a modern chiller. MEL provided the mechanical and electrical engineering for this 9 story office building in downtown Ottawa. Our scope also involves the fit-up work for most of the building to house institutional clients such as PWC and Bell Canada. This is a 40,000 sq.ft office building. MEL provided total mechanical and electrical services for this building. MEL is proud to provide all Mechanical and Electrical Design and construction supervision for this is 30, 000 sq, ft office building for the Canadian Export Development Agency located in Gatineau, Quebec. MEL provided the mechanical and electrical engineering required for this 25,000 sq. ft. space to accommodate Clarica. MEL was the Canadian mechanical and electrical engineers for this 300 stations call center in Ottawa. The systems employed includes HVAC, plumbing, server room cooling, power distribution, lighting, fire alarm, as well , total stand-by power for the facility. MEL was commissioned to fit-up this 180,000sq. ft. to accommodate the Revenue Canada GST main distribution system. Due to tight schedule the project was fast tracked, and we had to complete the entire mechanical and electrical engineering at a rate of one complete floor per week including the mechanical sorting and distribution floors. MEL was approached to solve the problem of insufficient fire flow for the 22 story National Defense Headquarters in downtown Ottawa. 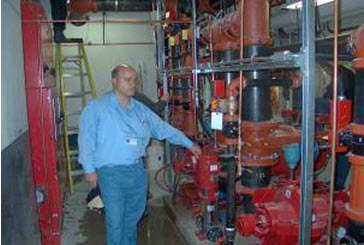 The solution that was presented and implemented was to install new 1500 gallons fire pumps as well as to convert the fire fighting system into high and low zones that will provide for the fire flow while protecting the existing piping from extreme stress.